Founded in 2004 the Lendvai String Trio is celebrating its 12th season performing regularly at major venues throughout Europe such as Wigmore Hall and Concertgebouw. The trio has recorded extensively to great acclaim, including the complete string trios by both Beethoven (BBC Music Magazine’s Chamber Choice in June 2013) and Martinů for Stone Records. Their most recent international success is the completion of a three-year project uncovering, performing and recording all sixteen string trios by Dutch composer Julius Röntgen for Champs Hill Records. 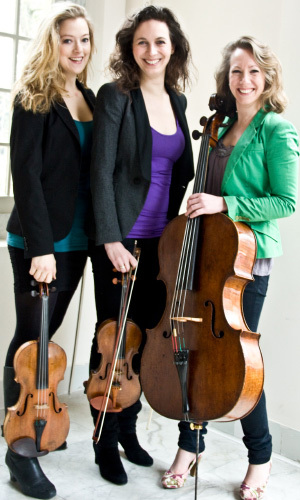 In 2011 the trio was awarded the prestigious Kersjes Ensemble Prize in Holland, as well as being selected for the Concertgebouw’s Young Artist Series in Amsterdam. In 2005 they were selected for the Holland Music Sessions ‘New Masters on Tour’, resulting in a series of concerts across Romania, Bulgaria, Latvia, Lithuania, Poland and the Netherlands. The trio regularly performs at festivals in the UK, Germany, Italy, France, Switzerland, Austria and Sweden and their concerts and recordings are broadcast by Dutch Radio 4, Swedish Radio P2 and BBC Radio 3. The trio enjoys and gets inspiration from regular collaborations with other artists. Recent highlights have included concerts with oboists Alexei Ogrintchouk and Nicholas Daniel, and pianists Paolo Giacometti, Tom Poster, Charles Owen, Alasdair Beatson and Martin Sturfält. As well as regularly commissioning new works, the Lendvai String Trio is also keen to uncover and revive forgotten works for the genre. Alongside the trio Nadia is concertmaster of the Dutch Radio Philharmonic Orchestra, Ylvali is guest principal at the Royal Swedish Opera and Marie solo cellist of the Royal Stockholm Philharmonic Orchestra. The Lendvai Story – where did the name come from? In 2004 chamber musical fate brought us together and thanks to a junior fellowship at the GSMD and unwavering support from David Takeno we were able to start our journey as a trio. But we needed a name. On our return from IMS Prussia Cove Masterclasses in Cornwall where we had been studying with Hungarian pianist Ferenc Rados, we were given the score of a string trio by a certain Hungarian composer Erwin Lendvai. Feeling inspired by the rich Hungarian approach to music that we had just been immersed in we all took an immediate liking to the name Lendvai – and the rest is history! 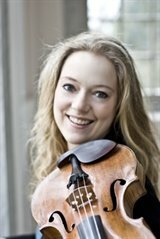 Dutch violinist Nadia Wijzenbeek is in high demand as a soloist, chamber musician and concertmaster. She made concerto debuts in the Concertgebouw Amsterdam in 1999 and the Royal Albert Hall in 2004 with the Dutch Radio Symphony Orchestra and the Royal Philharmonic Concert Orchestra. She has since returned to the Concertgebouw with orchestras such as the National State Orchestra of the Ukraine. She has given recitals at the Palais de Beaux Arts in Brussels, the Rudolphinum in Prague, the Concertgebouw in Amsterdam, and halls in Moscow and St Petersburg. As a member of the Aronowitz Ensemble, Nadia was a BBC New Generation Artist and Borletti-Buitoni Trust Award winner and has recorded extensively for the BBC, Hyperion and Sonimage. The ensemble plays regularly at major halls and festivals throughout the UK and Europe. In 2009 Nadia was appointed concertmaster of the Radio Chamber Philharmonic Orchestra in the Netherlands, and in 2013 became the concertmaster of the Dutch Radio Philharmonic Orchestra. Nadia is also Artistic Director of the popular concert series Raadhuisconcerten in her hometown of Hilversum in the Netherlands. Since 2015 Swedish violist Ylvali Zilliacus works as a guest principal at the Royal Swedish Opera in her hometown Stockholm and since 2011 also plays regularly with the Mahler Chamber Orchestra. She is frequently invited to international chamber music festivals such as Ernen Musikdorf in Switzerland, Recife Virtuosi in Brasil, The Hague International Chamber music festival and Båstad Kammarmusikfestival in Sweden. Between 2009 and 2013 Ylvali was principal violist of the Musica Vitae Chamber Orchestra in Sweden with whom she often featured as soloist. She has worked as a guest principal with the Philharmonia, Royal Liverpool Philharmonic Orchestra and Umeå Symphony Orchestra. Ylvali studied at the Royal College of Music with Simon Rowland Jones, and in Berlin as a DAAD scholar with Tabea Zimmermann at the Hans-Eisler Hochschule für Musik. Between 2003 – 2007 Ylvali played with the period instrument ensemble English Concert in London, directed by Andrew Manze, and with them frequently recorded for Harmonia Mundi as well as touring extensivey in the USA. Ylvali plays a Lorenzo Storioni viola built in 1767, kindly lent to her by the Swedish Musical Instrument Foundation. Alongside music, Ylvali is also committed to practicing Ashtanga Yoga. 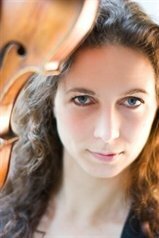 British cellist Marie Macleod has performed throughout Europe, USA and Australia as soloist and chamber musician, appearing with orchestras such as the London Symphony Orchestra and the Ulster Orchestra. As well as being cellist in the Lendvai String Trio, Marie is also a member of the Aronowitz Ensemble who are BBC New Generation Artists and Borletti-Buitoni Trust Award winners, recording regularly for the BBC and Sonimage. In 2013 Marie was appointed principal cellist of the Royal Stockholm Philharmonic Orchestra with whom she performed as soloist in 2016. 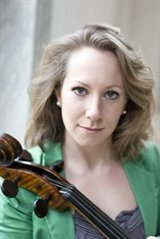 Between 2006 – 2008 she was principal cellist of the Västerås Sinfonietta in Sweden, after which she became the assistant cello teacher at the Yehudi Menuhin School and cellist in the Sheffield based chamber group Ensemble 360. 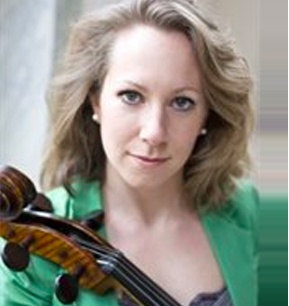 Marie’s competition successes include winning the string section of the BBC Young Musician of the Year in 1998, the Royal Over-Seas League, the Suggia Gift for Cello and the bronze medal in the Shell/LSO competition. She studied with Louise Hopkins at the Yehudi Menuhin School, Steven Isserlis at IMS Prussia Cove, Frans Helmerson in Germany and David Takeno at the Guildhall School of Music and Drama. She plays a Matteo Goffriller cello from 1706.